We also have many sponsorship opportunities available. Please visit our event sponsors. 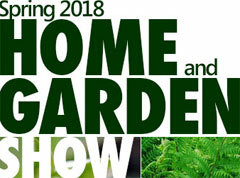 We are now partnered with the Spring Home & Garden Show, making Love Your Pet Expo a 2-day event, with a huge boost in attendees and advertising over previous years. Promotional "ThankYou" Package for your donation of $50 or more. Your logo/product image and link on our Charity Auction page or Activities & Demos page. A "thank you" post with link and image on our Love Your Pet Expo Facebook page. Your print advertising/business cards distributed at our next "live" 2-day event. Your literature on display at our next event. 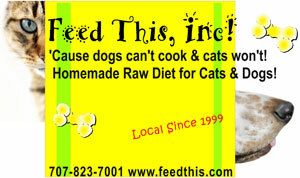 We're also happy to post your pet products articles, news, press releases, pet products info, and interviews. You may submit those at any time. For more information, or to discuss other marketing options, please contact our webmaster. We're always interested in new ideas. Please visit our Sponsorship Page for more participation options. Love Your Pet Expo is an all-volunteer, 501c3 nonprofit corporation, so all of your donations are tax deductable and all donations go directly to our fundraising efforts. All promo packages are good through January, 2020.